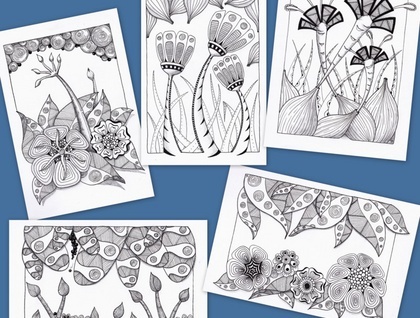 All cards are produced from original drawings done by Jo Newsham. 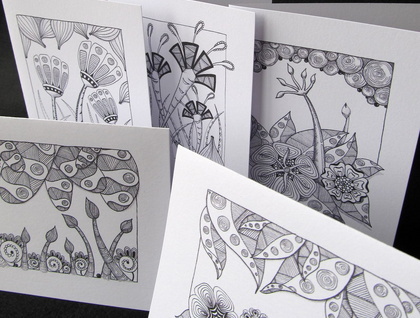 The cards are blank inside and are printed using quality card and inks. This set was inspired by hot and humid tropical climates, where weird and wonderful flora grows. This pack contains 5 different designs and 5 envelopes. A6 size (10x15cm approx). Cards are packaged in a sealed cello sleeve.